Home | Opinions | From Brussels, For the Victims: Why should the initiative for RECOM be a part of the Berlin Process? Soon Kosovo war will mark two decades of its ending, whilst the fate of the missing persons and the truth about crimes committed thereof, is yet to be properly addressed. 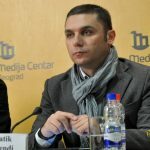 The situation in Kosovo is not far different from the one in Bosnia and Herzegovina, which stands close to a quarter century behind the war. Similar is the case with Croatia. Multiple attempts have been made to address losses and the pain brought by wars in all of these former Yugoslav countries. These included organization of hundreds of protests and many conferences, formation of numerous non-governmental organizations and various other initiatives. A lot of money was spent, but the progress has been unsatisfying. While the fate of many missing persons remains unknown, it is easy to put the blame on the key responsible people for this failure. It is the political elites who are continuously recycled in governments of these countries – often the ones blamed for inciting crimes in the first place – who lacked sincere willpower to address the pain of the wars. Leaders should be aware that the initial approach to make meaningful efforts for learning about the fate of missing persons should be inclusive and not segmented. It is therefore crucial to have and maintain cooperation between the countries involved. If every former Yugoslav country demands unveiling fates of the missing persons, representing only their respective ethnicities, this wound would only continue hurting for many years to come. 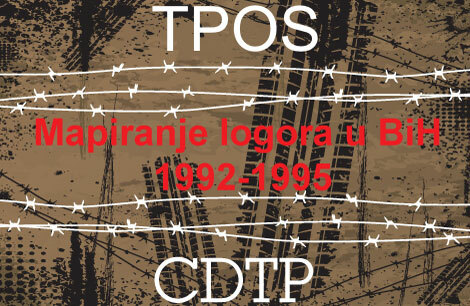 The International Commission on Missing Persons (ICMP) has estimated that there are around 40 thousand individuals whose fate remains unknown following the wars in former Yugoslavia. The number of missing persons in Kosovo was estimated at 4400, while at present this number stands at around 1650. Amongst them, 1300 are Albanian, while the rest belong to Serbian, Romani, and other non-Albanian communities. 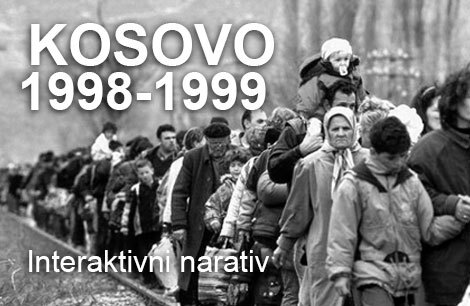 30 thousand persons were considered missing from the war in Bosnia. The fate of ten thousand of them still remains unknown. Six thousand persons were deemed missing from the war in Croatia. Fate of about two thousands of them remains unknown as of today. 23 persons were missing from the conflict in Macedonia, the fate of 13 from them still remains unknown. When looking at these figures, one concludes that the issue of the missing persons does not belong only to Kosovo, and neither does it belong only to Bosnia, or Croatia, Serbia or Macedonia. Around one third of all missing persons from the entire territory of former Yugoslavia are still missing today, regardless of ethnicity or where they went missing. Therefore, in order to seriously address this issue once and for good, the politicians, instead of giving declarations on memorial days, should engage with their homologues in an honest dialogue to unveil the fates of the missing persons. Despite all, most of the work done in attempts to find the truth regarding the war and staying close to the families of victims was done by NGOs. 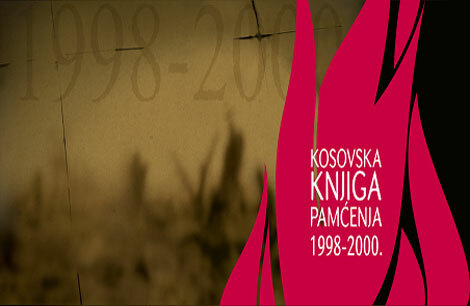 Such is the case of the initiative for the establishment of RECOM, regional official commission (inter-governmental) for the establishment of facts about war crimes and other serious violations of human rights committed in the territory of former SFRY from January 1, 1991 until December 31, 2001. 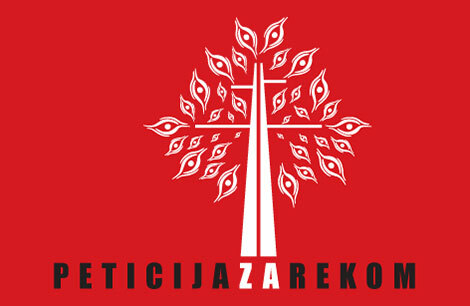 There are hundreds and thousands of signatures gathered from citizens from all the former Yugoslav countries, around 1200 NGOs have become part of it, it has gained the support of many personalities in the region as well as from abroad, and moreover it has gained the support from the leaders of countries in the region. The establishment of RECOM, at one time or another, has received the support of institutional leaders in Kosovo, as well as Serbia, Croatia, Bosnia, Macedonia and Montenegro. Furthermore, respective presidents have appointed their delegates as part of the coordination efforts to take the initiative forward. But it still did not reach its peak, which would invoke having all of them sign a single document on the very act of the establishment. Knowing how up until now regional leaders only moved when they were placed in a sandwich – in between the civil pressure from below and the international pressure from above – the initiative for signing the establishment of RECOM within the auspices of the Berlin Process has begun. Having neglected this issue for many years, Brussels should finally move forward decisively in this direction. If countries that have been involved in the conflict will proceed with adopting an initiative such as RECOM, this would finally pave the road to revealing the truth for the missing persons, the ‘truth’ regarding the war as well as accountability. And knowing that until now these countries have not shown a strong will to address this issue, they would be obliged to treat it now, since it would be a natural requirement for the path toward EU accession. A light of hope for thousands of families for which the wars have not yet ended! For these reasons, RECOM should become a crucial task of the Berlin Process.